Hand-writing cards to people is a lost art form. The less common it becomes, the more impactful it is though! I have always envied the people that write cards to other people and make it look easy. You know the people. They always seem to have a card in the mail at the right time. They never seem to forget to write a note to thank you. If you are anything like me, you probably are constantly remembering your need to thank your volunteers and employees. As a leader, part of your job is encouraging the people around you. A single note of thank you can go a long distance to sustain a leader in your ministry. We all know this, but finding time to do this can be hard! We sometimes live in the land of good-intentions and forgot to actually make it happen! Here is a creative approach to thank-you note writing. I have started using an app called Postagram (see link above). I love it! 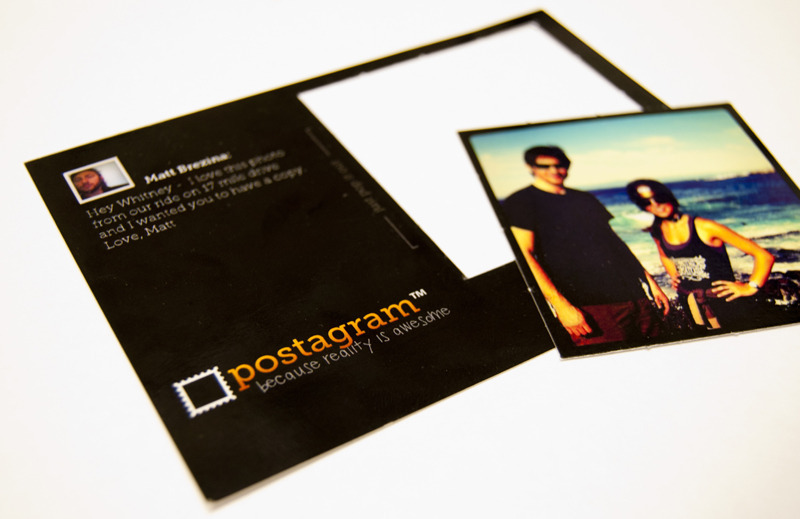 Postagram allows you send customized physical post cards to people directly from your phone. Here is how it works for me: I take a picture of the event or the leader serving at the event. I then use Postagram to send a physical postcard with a brief note of encouragement to the leader. Postagram mails it for you and everything! They can then put it on their fridge or whatever—a constant reminder of a great moment when they were serving. Save yourself from the guilt of not constantly writing notes to people and make it easier on yourself. This doesn’t take the place of a hand-written note at the right time, but it does give you another option that gets more than half way there with a fraction of the time spent. How about you? What you have you found that works to thank your volunteers or employees? NOTE: The only part that can make this process a little slow is addresses. If you don’t have the person’s address in your phone, I have often been able to find them on facebook or on our online Church Management System. I just simply cut and paste the address information on my phone and am good to go. Once they are saved in the app, you won’t have to do it again though. “Ink” is another app that does something similar.